The source disclosed certain paragraphs of the agreement signed between the US Department of Defense and the Iraqi Kurdistan Region’s Peshmerga ministry, including establishment of 5 US military bases in the region. 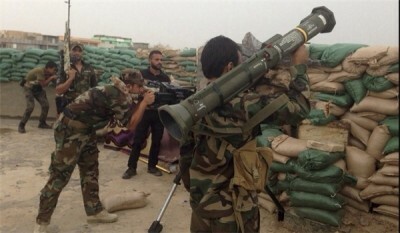 “One of the bases will be set up in Atroush region, two in Harir region and two large bases in Erbil and Duhok,” the source, who called for anonymity, told Iraq’s al-Ma’loumah news agency. “Based on the MoU, the Americans should pay the salaries of Peshmerga forces and train and equip them for 10 years,” he added. His remarks came after a military MOU was signed on Tuesday between the US Department of Defense and the Peshmerga Ministry at the government of Kurdistan to support the Kurdish forces in fighting the ISIL in Iraq. KRG President Masoud Barzani received a United States military delegation headed by Elissa Slotkin, the acting assistant Secretary of Defense for International Security Affairs. The meeting was followed by a telephone conversation between President Barzani and Ashton Carter, the US Secretary of Defense. Kurdish officials described the agreement as an important step towards a new phase of cooperation and coordination between the US and Kurdistan.